As a young boy growing up in a family of stone masons mixing mortar was like brushing my teeth…I did it every day, at least during the summer months when school was out. Who would have thought that in the age of technology, speed and convenience that my great great grandfather’s 1846 mortar formulation would return. 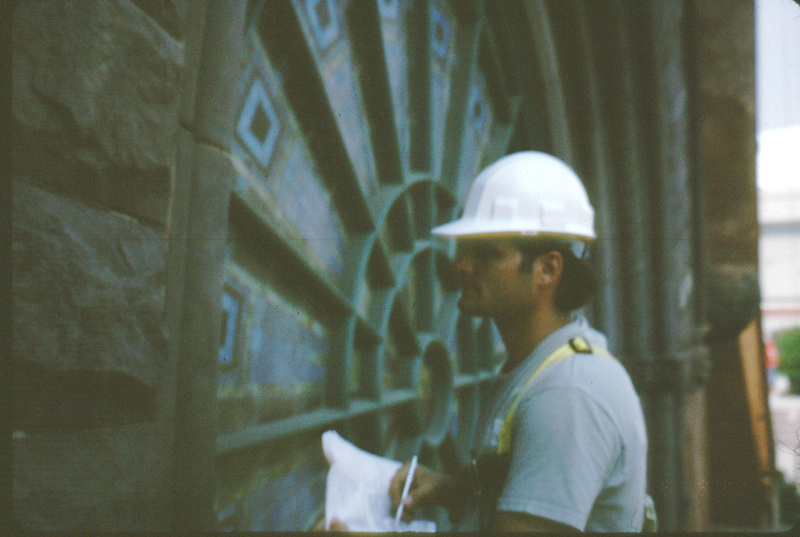 The trend seems to be one that is sweeping across Scandinavia, Europe and Canada as architects and heritage masons work together to preserve their country’s historic masonry properties built hundreds and often thousands of years ago. They call it the “Lime Revival” It’s been 30 years for Sweden, 20 years for England, 10 years for Canada….its America’s turn now. The oldest archaeological sites in the world are, of course, masonry. As early as 2450 B.C., masons began using lime and sand for mortar. Lime is made from limestone (calcium carbonate) which has been heated to temperatures exceeding 1,650F where the heat drives off the carbon dioxide and water turning the limestone into quicklime (calcium oxide). Traditionally this quicklime (sometimes called lump lime or hot lime) was delivered fresh to construction sites or made on-site in a temporary kiln just for the job. The quicklime was mixed with damp sand and stacked up into piles for slaking into a hydrate powder (calcium hydroxide) and run through a screen or the quicklime was combined with water in the ground, formed into a putty (also calcium hydroxide), and mixed with the sand at a later time depending on the project needs. Either way, the mixtures were left to mature or rest for a time before use, due to the expansion of the lime particles during slaking. The lime was generally mixed with local sand in a ratio of 1 part lime putty to 3 parts sand by volume. Other ingredients like crushed brick, clay, lamp black, and natural cement were sometimes found in smaller quantities before 1870; however, the basic lime putty/quicklime sand mortar formulation has remained unchanged for centuries. Portland cement was first manufactured in America in 1871, but did not become truly widespread until the 20th century. As late as 1883 there were only three portland manufacturing plants in the U.S. Up until the turn of the last century portland cement was considered an additive, or “minor ingredient” to help accelerate mortar set time. By the 1930s, most masons were using equal parts of portland cement and lime putty or quicklime. Thus, masonry structures built between 1871 and 1930 might be pure lime and sand mixes or a wide range of lime and portland combinations. What we do know about lime, and the reason for its come-back, is its incredible performance characteristics, and versatility as a time-tested building material – and not just as a masonry mortar either, but also as paint, (limewash/whitewash) exterior stucco/render, and interior plaster as well. 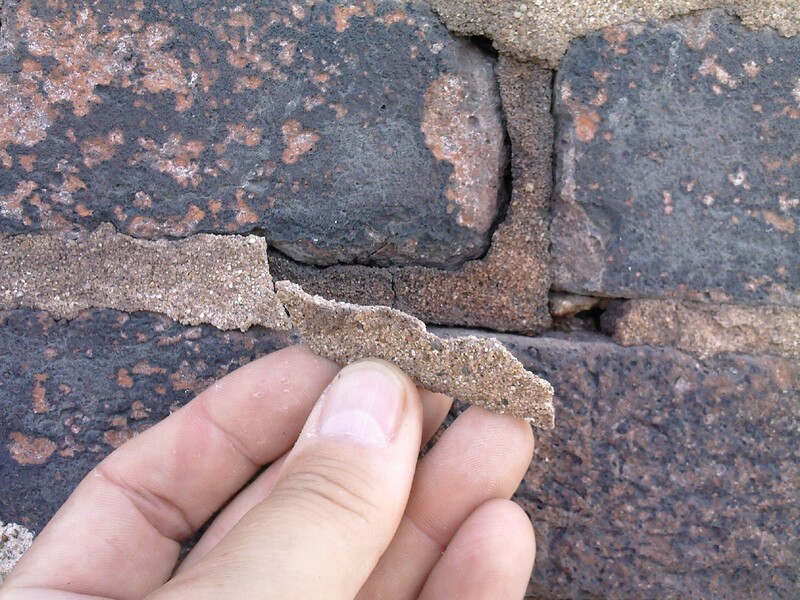 Lime, when properly combined with clean, sharp, well graded sand can perform for many centuries in masonry applications. Lime has the ability to handle water without trapping it within a wall structure. It is breathable, flexible, obtains high bond strength to masonry units, it is truly sustainable (less energy is required to heat a ton of lime as compared to a ton of cement) and it has autogenious healing capabilities, often referred to as “self-healing” where hairline cracks do develop over time water combines with the lime again to re-knit the cracks back together. Limes durability comes through a process of what’s called carbonation. Carbonation is a process by which lime turns back to limestone by reabsorbing the CO2 back from the atmosphere though wetting and drying cycles. You can say that the material interacts with nature on a daily basis. As portland cement became more widely used many lime sand mortars were being “covered-up” during repair projects. Exterior masonry buildings suffered badly from hard portland cement mortars (1940s until today) which did not accommodate for movement or stresses within the wall systems, and as a result, many historic brick and stone units got damaged by this un-sacrificial material. When cracks did occur, in the portland cement mortars, water would migrate into the wall cavities and not be able to escape or evaporate back out as they once had done with the lime sand combination mortars. But times are changing. We are seeing signs of the “Lime Revival” hitting the shores of the United States. Mortar manufacturing companies are now offering lime mixes now for restoration and a few specialty companies offer traditional lime putty, quicklime and imported hydraulic lime for sale. Lime mortar materials, that I am currently aware of, are available from the following U.S. companies listed in alphabetical order for your convenience. Be sure to ask questions about each of the company’s offerings, as they differ. Some still use portland cement in their lime mortars. It’s best to know what you need first – then go out and find a supplier that can meet that need.